We’ve seen a big shift in favor of videos with the likes of Twitter and Instagram improving video features. No surprise here though, with the second highest number of monthly visitors, YouTube is a perfect example of how viewers are visual creatures! 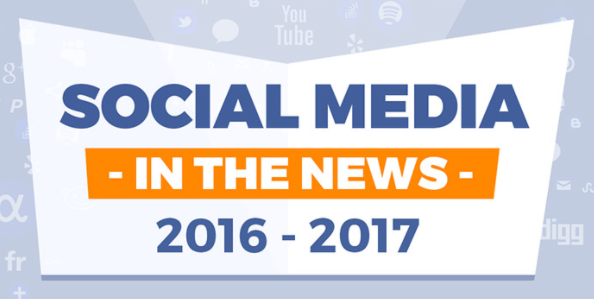 So as you can see keeping up with the Joneses of social media can be as difficult as pleasing your mother in law, but we’ve compiled a list of the top highlights to keep you in the loop with our Social media in the news 2016 – 2017 Infographic.